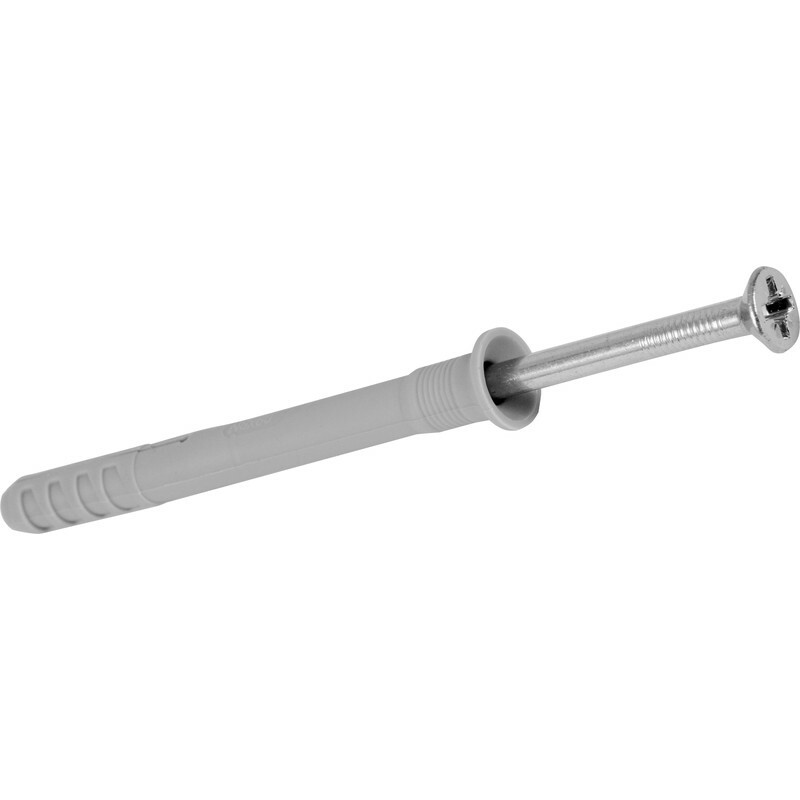 Zinc plated nylon hammer fix for solid masonry. Integral hammer-in stop prevents jamming. Fischer Hammer-in Fixing 5 x 30mm (100 Pack) is rated 4.9 out of 5 by 11. Rated 5 out of 5 by Brian1 from Convenient Simple sturdy design, simple to use. Rated 5 out of 5 by Bigangus from Quality at a good price Quality fixings as I’d expect from Fischer. Toolstation is nearly always cheaper than its rivals too. Rated 5 out of 5 by liftman from Great product at a great price I bought these for a DIY project at my sons house .Great value for money. Rated 5 out of 5 by PhilM from Great product Exactly as you would expect from a company like Fischer, great product which does "exactly what it says on the tin". Rated 5 out of 5 by DevonDIYer from Easy to use, really strong! As a DIYer I found these really easy to use. They go in fast and fix solidly. Highly recommend.